Among contemporary US soccer player development circles, you'll often hear that while we have had talented players emerge domestically, we have yet to produce a great goalscorer. New York kids are told the sporting exploits of the likes of Babe Ruth and Joe Dimaggio, Frank Gifford and Y.A. Tittle, but the thousands of kids playing soccer in New York nowadays have no such figures from generations ago, many believe. The fragmentation of American soccer has meant we've lost our legends. 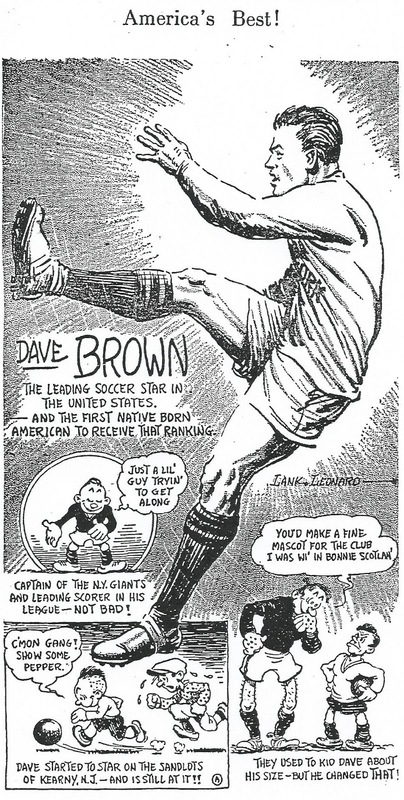 Reclaiming our heritage means remembering those who played the game long ago, and one player stands out as the greatest goalscorer in New York and American soccer history: David "Davey" Brown, the 5'3" forward adoringly known as "the Little Giant." Born in East Newark, NJ on 18 November 1898, he passed away on 17 September 1970 in his hometown of Kearny, NJ. He played for Harrison, Newark, Brooklyn, and New York SC, but he's most well known (or should be) for his exploits in three stints with the New York Giants. When the Giants became New York SC in the fall of 1930 and the NY Nationals rebranded to the Giants, Brown left the Giants for the Giants! 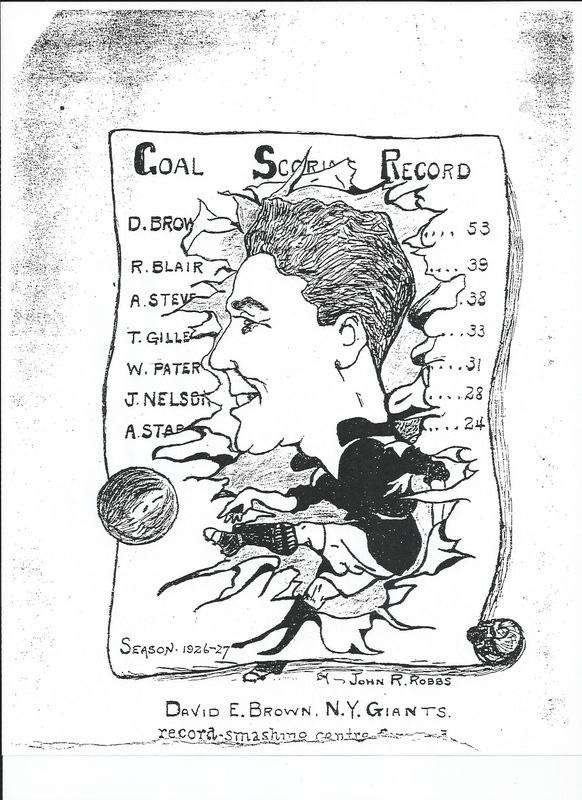 His 52 goals in 38 games for the Giants during the 1926-27 American Soccer League season surely earn him a place in the pantheon of New York sports history. 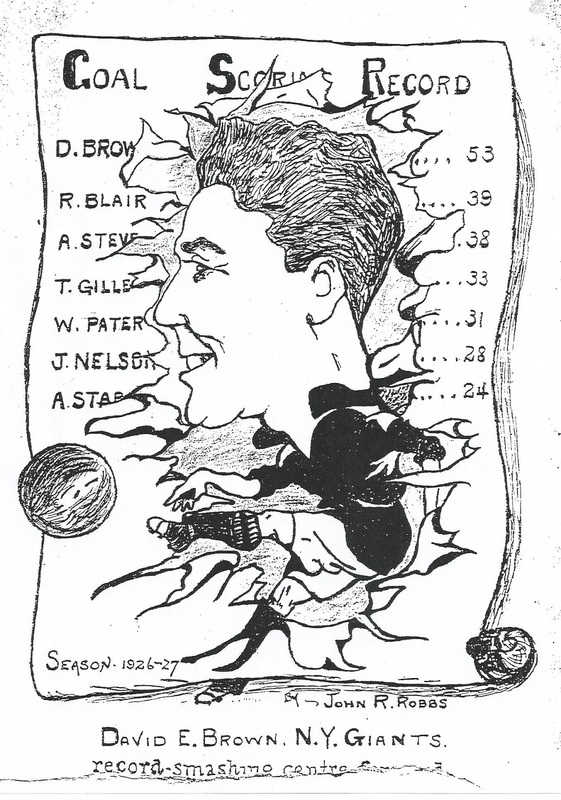 Brown was inducted into the National Soccer Hall of Fame in 1951, but his story is now grossly neglected by a sporting community sadly unaware of its past. 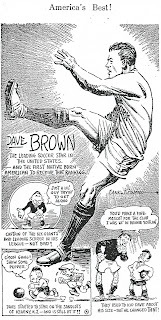 Icons such as Davey Brown from New York's rich soccer legacy should inspire today's youth and be celebrated by all Americans who love the beautiful game.